Home » What makes a nursing home case difficult? What makes a nursing home case difficult? Schenk: Hello out ther and thanks for joining us. My name is Rob Schenk. Smith: And I’ll Will Smith. Smith: All right, Mike Tyson. No, let’s just keep going here. Smith: It’s not all the time that we get a Tyson reference. Schenk: …Practicing in the areas of nursing home abuse and neglect in the state of Georgia, and we are also your hosts for the Nursing Home Abuse Podcast. Lots of good things to talk about today. Anything interesting going on in your life today, Will? Smith: Why would you do that? I don’t know what to say to that question. Why would you do that? Schenk: Because it’s been a couple months since I’ve attempted that and I thought that maybe – you told me that you were going to improv camp. Smith: That’s not true at all. None of that is true. Schenk: You didn’t tell me that you were going to improv summer camp at Lake Winnepatoga in North Georgia? Smith: That’s not even a name of any lake in North Georgia. Schenk: Do you have all the lakes in North Georgia catalogued? Smith: I would know if there’s one called Winnepatoga. Schenk: Okay. So Will, anything interesting going on with you lately? Smith: Yeah, I settled a very long and contentious suit about two or three weeks ago that I’m still wrapping up, but that was a suit that had been going on for about three and a half years, and we got a very good result from the client. It was something we did in mediation, so it was good. 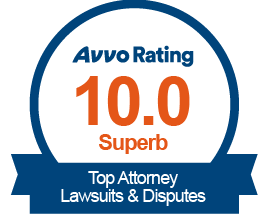 It was a huge relief for the client and a lot off of our plate as well so we can start looking at other cases. Schenk: That’s excellent. I’m glad that you mentioned that as your response to my question because today’s podcast, a majority of the time we’re going to spend talking about what makes a nursing home case particularly difficult. So you mentioned that your case was going on for three and a half years. That’s a long time and some of these cases go on for a long time because they are in fact difficult. Smith: Yeah, and actually not to jump ahead too much, but I do see a good segue here, because one of the things we were going to talk about is the co-morbidities in these cases that can make them difficult. And actually one of the things that made this case so difficult is that in addition to the damages that were caused by the defendant’s negligence in this case that I recently settled, this client also had a host of problems from diabetes to diabetic neuropathy to degenerative issues with her spine to problems with both shoulders. So that’s just co-morbidities in pre-existing conditions are always one of the first problems that we have. Schenk: That’s right. So there are just from a basic standpoint, a nursing home case is going to be made up of a couple factors. Will describes it as being a stool. So there has to be some type of act or omission on the part of the nursing home. Smith: So it’s a three-legged stool. Schenk: And the first one is an act or omission on the part of the nursing home. The second is that act or omission causes the third leg of the stool, which is damages, which is some type of injury. So you have the act that causes an injury, and that’s the stool that the case sits on. Smith: And you must have all three. Smith: You cannot just have “well we’ve got two of them.” You absolutely – they are dependent on each other. You have to have all three of those. Schenk: So we’re going to be looking at the defects of each of the legs of the stool that make a case difficult. So in terms of the first leg, which is the act or non-act of the nursing home, big issues in nursing home cases are going to come down to well did the nursing home do something they weren’t supposed to do? And that can be highly contentious. So an example of that, a hypothetical would be a resident that needs assistance in transferring. If the doctor is requiring that the nursing use a Hoyer lift or two people to assist, but in fact, only one person aids the resident in transferring, and that resident falls, then that’s an act that is falling below the standard of care for that nursing home and that first leg of that stool exists. But what happens if there’s no doctor’s order or there’s no direct recommendation on how many people to assist in the transfer. Smith: There’s no specific regulation that says you must do this to transfer this type of resident. Schenk: Correct. And so the nursing home might say one person is enough. Schenk: Or if it’s three people, but two people helped, they might say two people are enough. So that’s a difficulty in the first leg of the stool. Did the nursing home breach the standard of care? Many times though, that’s really not going to be an issue. It’s not necessarily it’s not going to be an issue, but most often, the injury attorney is going to have the most difficulty with that second leg of the stool, which is causation. There is a fallacy, a misconception that most laypeople have that just because something happens prior to another thing, that the first event causes the second event. That is, I remember in logic class, that is a logical fallacy called post hoc ergo proctor hoc – before, therefore, because. Smith: It’s this – I don’t know why you’re doing that. Why are you doing that? Schenk: Because you want to smash your face into the microphone as much as possible. Schenk: You’re getting a little closer. And in the case of a nursing home abuse or neglect case, it’s going to be something along the lines of did the nursing home cause that urinary tract infection and did that urinary tract infection, to the exclusion of all other things, cause septic shock and death? Often that requires expert testimony for an individual with the requisite amount of training to connect the dots by a reasonable amount of medical certainty or by a preponderance of the evidence that A caused B. And again, I know it’s hard to conceptualize it unless you go to the absurd, which is the rain caused the divorce, it’s hard to understand it. Just because something happened before doesn’t mean that it caused it. Smith: Even if it’s the type of thing that can cause that result. So in like a nursing home case, let’s say that they have not changed the individual, their adult brief, in several days, and there was urination in it, it was soaking wet. That type of thing can 100 percent cause a urinary tract infection, and an urinary tract infection can be serious enough to cause death. So you’ve got a situation where they haven’t changed that person and they have a UTI – it might seem reasonable that their failure to change that person caused the UTI, which led to urosepsis, which led to death. And in fact, you very well may discover that, but it isn’t a guarantee because an expert could review that case and go, “Well the fact of the matter is this person has a historyt of UTIs, has some sort of medical condition with their urethra, or a host of other things which also cause UTIs. And so in looking at this case, I can’t say with a reasonable degree of medical certainty that this failure to change this person to the exclusion of all other co-morbidities that this person may have or co-factors is the cause of the sepsis that led to their death. Schenk: That’s right. In looking at the third part of the school, which would be the damages – and damages is another way of saying the injury, in other words, what is the result of the act or omission that caused that something? What’s that something? The something can be a broken bone. It can be sepsis. It can be death. It can be amputation. What is the end result of the act or omission of the nursing home. And what makes that component difficult – we won’t say difficult, but what affects the value of the case is oftentimes the severity of that injury. So in terms of that – so going back to the example of the lift, so let’s say a resident should have a two-person assist when transferring, but only one person does it, and that resident is dropped. So you have a definite negligent act that has caused something, and that something is a broken bone. That case would be valuable, but not as valuable as a case in which a nursing home used one person to transfer when it should have been a two-person assist causing the resident to be dropped, the resident hits her head, gets a subdural hematoma and dies within two hours. Smith: And understand again, and we say this every time we talk about valuation of these cases – when we say valuable, that is not a judgment call. We hope that people never have a valuable case. You don’t – and that is a good way to look at damages to begin with, is that if you feel a certain sense of relief that it could have been a lot worse, then we may not be the remedy that you need, and it may be one of those things where you call an ombudsman or let DCH know. So the type of damages that wound require the services of attorneys like us are going to be the type of damages that are absolutely horrible for the nursing home resident and they’re extreme situations and they’re catastrophic. Schenk: And so those are some of the issues and just a couple of the issues of each of the legs of the stool, but outside of that leg of the stool, some things that can make the nursing home case difficult in our experience are sometimes the particular insurance company that is covering or has the policy of the nursing home, and sometimes it’s the law firm that represents that insurance company. Some law firms have a reputation for stonewalling or not being upfront with things, same with some of the insurance companies. Smith: It can also be, in addition to the insurance company itself, it can be a lack of insurance. Smith: Some nursing homes that we have encountered have very limited liability insurance. I’m talking like 50,000. That’s not enough to drive a case. Schenk: So just a quick primer on this because we get this question a lot – you know, if your loved one has been hurt in a nursing home, you might say, “Well just sue the nursing home.” The issue with that is sometimes these facilities, if there’s no insurance policy at play, you’re suing the facility alone and you would get a judgment against that facility that you’d have to collect, and these facilities can go into bankruptcy. They can have no assets. They can be run down and have nothing. So you can have a judgment against a facility that’s really just a piece of paper saying they owe you a certain amount of money. Smith: A piece of paper that is worth absolutely nothing. And again, it’s not that justice isn’t important. It’s that the reality is there has to be some way to get money from that defendant or you can’t pursue the case. So other than the issue with the actual stool or the legs of the case, those are some of the other issues that can make a case difficult, but at the end of the day, if you’re listening to this, if your loved one, if you suspect negligence or you suspect abuse, it’s good to call somebody. It’s good to call an ombudsman. It’s good to call an attorney because an attorney’s going to have or an ombudsman’s going to have access to information that you don’t to really look at the three legs of your stool and to understand kind of another perspective on whether or not there’s an actual actionable case. Schenk: And with that, there’s an actual news article that I wanted to talk about for a couple minutes. This is coming to us from Tulsa, Oklahoma. It looks like it says Leonard Smith, a 70-year-old advanced dementia patient living at Oklahoma Veterans Center in Talihini, Oklahoma, choked to death on January 31st after being food, fluids and medication. A medical examiner determined that Smith’s probable cause of death was asphyxia due to choking on a 2-foot trash bag lodged deep in Smith’s throat. The Tulsa World began investigations after maggots were found in the body of another resident, a deceased veteran at that home. I mean I think in this particular case, what you have, and this was found, it looks like, by the Oklahoma State Department of Health, this resident had a propensity for swallowing things. Smith: Like a child. He has dementia, so there is cognitive impairment. Schenk: Right. So there’s a previous example. They found that he had previously passed a portion of an examination glove, so he had swallowed an examination glove. So this nursing home, here’s the thing – when you have… This brings up the issue, I mean this is egregious, this is terrible that this individual choked on a trash bag, okay. What is the liability of the nursing home in this instance? And that will have to do with what is the constructive knowledge that this resident would do something like that. What is the knowledge the nursing home has that this individual has a propensity to swallow objects? If the nursing home knows he has a propensity to swallow objects, then they have a duty to lessen the likelihood that that’s going to happen through various means, either observing him while he’s eating or basically keeping things out of reach for him. Smith: And you know, I think that in this situation that they had prior knowledge that he had swallowed a latex glove that there are grounds for liability there, but it goes back to some of the other things we’ve talked about in prior podcasts, which are resident rights. They’re humans. Even if they have humans, they still have a right to a certain amount of liberty. So you could put this man in a room that had nothing but soft edges and padded walls and zero objects that he could pick up and hurt himself with, but what kind of life is that, even if he’s got dementia? So if they don’t know that he has a propensity to do something, they can’t just lock him up and take away every dangerous object from his physical presence. Schenk: Right, so it’s going to come down to that line of what did the nursing home know, which they know he has the propensity to swallow gloves, weigh that against his rights of a human person to live in harmony with his surroundings, and then could they, in doing that, should this have been prevented? And I think based on the facts of this, we don’t know but I lean towards if he has access to that big of a trash bag, they might have been doing something they weren’t supposed to do and they might not have been watching him. And based on the fact that in this same nursing home, a previous resident had been found with maggots in his body, they are probably woefully understaffed and woefully undertrained, so there is probably a systematic issue with this nursing home. Smith: And when you have individuals with that level of cognitive impairment, you also have a higher requirement for more supervision. So the regulation that requires them to have higher supervision is one that could have been breached here, because you have a dementia patient, you don’t treat them the same way as somebody who’s got all of their mental faculties in place. So that could have been another cause for liability there, not just knowing that he had a propensity to do something. Smith: Yeah, and it’s a horrible situation. And one of the things that gets me is one of the relatives said what really bothers her after his death are all the what-ifs. What if they had gone there every day? What if they had been more involved? Would that have changed things? And as much as we may want to comfort somebody like that, the reality is yeah, it could have changed things. It certainly could have. Getting more involved – and we say this time and time again – in your loved one’s care while at a nursing home is of the utmost important. And regardless of whether or not the family ever went and saw this guy, at the end of the day, they’re neither morally or legally on the hook, but as a pragmatic matter, it is always beneficial to your loved one if you get involved. But at the end of the day, the nursing home is both the one who’s morally and legally responsible for this resident. And personally, I think in this situation, they could have done more to prevent this from happening, especially given the history of this nursing home. I mean the maggots in the other guy, that’s insane. That has to cause a smell that the staff could pick up on. Smith: This place is woefully understaffed. Schenk: To say the least. Schenk: To say the least. Moving onto another probably understaffed nursing home, this one comes to us from Pennsylvania – Columbia, Pennsylvania. A Susquehanna Valley Nursing and Rehabilitation Center in Columbia hired a temporary manager after numerous recent inspections by the Department of Health. The facility failed to investigate and report abuse, failed to provide a sanitary environment and failed to follow physician orders. Video shared by former staff showed the facility’s kitchen infested with cockroaches, and is what led the Department of Health to step in and appoint the temporary manager. It looks like over the last six months, surveys by the Department of Health at the Susquehanna Valley Nursing Home showed the facility failed to investigate and report abuse, neglect and misappropriation of resident funds, failed to provide a sanitary environment and allowed strong odors of urine to persist, and failed to follow physician orders. And here, it looks as though, again, when you’re dealing with understaffed, undertrained personnel, this is going to happen. And it looks, based on this article, the only thing this nursing home has done is changed managers, so that may or may not lead to changes, but just because you fire one guy and put another guy in place doesn’t mean anything’s going to change. Smith: And one of the things I was talking about with an expert that we have who is a physician who works in a nursing home in a neighboring state was telling me that one of the nursing homes he works in, he was astonished to find what the administrator of the nursing home made – it’s in the high six-figures – made a year, and also astonished to find the bonuses that administrator made. And the way they make bonuses is by cutting costs. Now clearly even from a non – like even from the nursing home’s point of view, as a corporation, as a heartless, thoughtless corporation, there is a limit to how much money you want to cut because you end up diving deep into a situation like this where you don’t have any staff, even in the kitchen, and you’re opening yourself up to a lot of lawsuits. But these places push the limits. They see how far they can go. So you end up having a situation like this that incentivizes profits over patients. So they cut kitchen staff. They cut maintenance staff that can include not only the sanitation aspect of the nursing home but pest control. They cut the healthcare staff. And that’s something else that’s important to realize is that these nursing homes are communities. So when we talk about staff, you don’t just have CNAs, LPNs and RNs. You also have sanitation workers. You also have dieticians. You also have administration. You also have people who work under the dieticians in the kitchen. So you have an entire community full of individuals that are not just looking out for their immediate and direct healthcare – getting them out of bed, giving them medicine – you also have people that are supposed to keep the room clean, supposed to keep the food clean, supposed to keep the kitchen clean. So when they start cutting spending in order to save these corporation’s money, you end up with horrible situations like this where it may not be talking about a specific injury to a resident, but you’ve got a nursing home that has cockroaches in the kitchen. Schenk: Yeah, if you wouldn’t take your grandmother or grandfather to a restaurant that has a cockroach infestation in the kitchen, then you’re generally not going to want to take them to a nursing home that has a cockroach infestation. It’s an indication of poor everything. Smith: Yeah, so that is a frightening thought that there are places like this. Schenk: Yeah, and we will check back up on that, the Susquehanna Valley Nursing Home and Rehabilitation Center. One of my favorite bands in the whole world is called Clutch, and they have a song that references the Susquehanna River, so I’m assuming the Susquehanna River is nearby the Susquehanna Valley. I feel like a lot of these news articles that we get are Native American-based names that are really interesting and there are videos of YouTube where you can watch. It’ll be like California residents pronounce cities in Georgia, you know what I mean? And one of them I remember, and this is because a lot of them are based on Native American names, I think mostly Cherokee, at least in Georgia it’s mostly Cherokee names, but one of them was Dahlonega. So you’re seeing Dahlonega written, and they’re trying, and it’s really funny. Smith: Oh, can you only imagine them trying to pronounce where I’m from? Sautee Nacoochee. Schenk: I think that’s actually one of them. Smith: Yeah, Sautee Nacoochee. I get all “salt in the coochie,” I get all kinds of things. Smith: What a note it was. Schenk: This story and that anecdote will conclude this episode of the Nursing Home Abuse Podcast. The Nursing Home Abuse Podcast can be consumed in two different ways. You can either download the audio on Stitcher or iTunes or wherever you get your podcasts from, or you can watch us. You can actually see the video of this happening on our website, which is NursingHomeAbusePodcast.com, or you can check us out on our YouTube channel. And with that, we thank you again for coming and visiting us and we’ll see you next time.